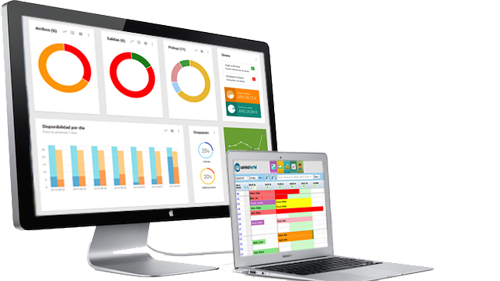 The Channel Manager is an invaluable tool for hotels of all sizes. For a long time, channel managers were available only for large hotels. However, in recent years, thanks to the available technology, small and medium-sized hotels can now access and benefit from its extraordinary features. The Channel Manager connects your hotel´s inventory to multiple online travel agencies (OTAs) and allows you to manage everything from a single interface. Our Channel Manager allows your hotel to keep parity on every booking channel as it updates rates form a single site. This improves your hotel’s positioning within booking sites, increasing sales. A Channel Manager handles your hotel’s inventory in a centralized way from a single extranet, so you may use your time for more strategic and productive tasks. Rate parity, offering 100% of your inventory on every OTA in real time, plus having the option of easily adding new sale channels, are factors that will increase your hotel’s reservations. OTA´s connections are two ways: when a reservation arrives through one channel the room is automatically subtracted from your inventory and this updated information is resent to every extranet.